Coca Cola 110 all weather camera. 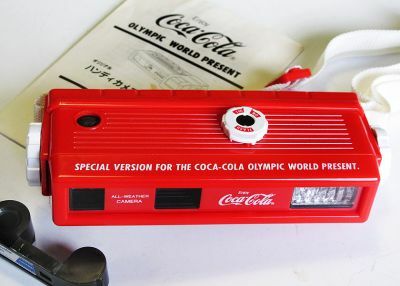 A Special Version for the Coca Cola Olympic world Present. Made in Japan.